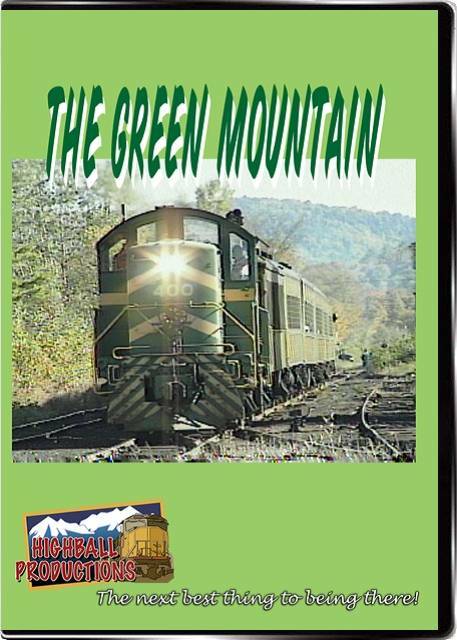 The Green Mountain runs through scenic Vermont farm country on former Rutland tracks, using the last Rutland locomotive, an Alco RS 1 on passenger trains in the summer. We see the passenger trains and freight trains of the GMRR from trackside and in the cab. Green GP9's, a black ex NS GP9 and a red Vermont RR geep in summer, fall and winter.